For First Time in Millennia, Jewish Priests Will Undergo Training to Enter Temple's Holy of Holies - Breaking Israel News | Latest News. Biblical Perspective. This development was initiated by Israel’s first responder organization ZAKA, based on a decision by the ZAKA Rabbinical Council following an event occurring during the three weeks of austerity leading up to the Ninth Day of Av: the July 14 Palestinian terror attack against Israeli police officers that left three dead (including the terrorist), the most powerful source of ritual impurity, on the Temple Mount, the holiest site in Judaism. The “new situation on the ground” is that Kohanim, men descended patrilineally from Aaron the Priest, will now be trained for the first time in millennia to enter the area where the Holy of Holies once stood. Their purpose will not be to offer sacrifices or pray for the Jewish people, but to retrieve dead bodies should the need arise again. The ZAKA council, headed by Rabbi Avigdor Nebenzahl, ruled that there is a religious obligation to remove every dead body from the Temple Mount – Jewish, non-Jewish and even terrorist – but that in certain situations, only Kohanim can do the job. Kohanim are forbidden from becoming ritually impure and have stringencies placed upon them that other Jews do not. Kohanim are forbidden from entering cemeteries or coming into proximity with dead bodies. Normally, contact with a dead body would be forbidden to a Kohen, but this ruling overrules that condition. 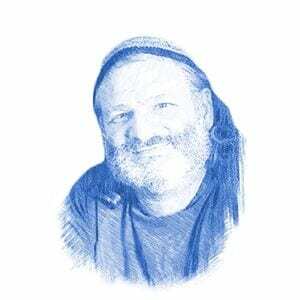 The training will require the revival of Torah laws “our people have [not] used for thousands of years, let alone on a yearly, monthly or daily basis, like most other laws,” explained ZAKA Chairman Yehuda Meshi-Zahav to Breaking Israel News. 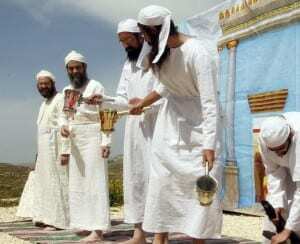 “There is certainly something interesting happening here,” Rabbi Ari Kahn, a member of the ZAKA Rabbinical Council and the head rabbi of the West Bank settlement Giv’at Ze’ev, said to Breaking Israel News. Rabbi Kahn said there was “something natural” about watching rabbis rule on decisions they have not faced for hundreds and hundreds of years. Due to the stringencies placed upon them, until now, Kohanim were not allowed to volunteer with ZAKA. Meshi-Zahav said the group is already in the process of hand-selecting these new first responders specifically tasked with Temple Mount duties. 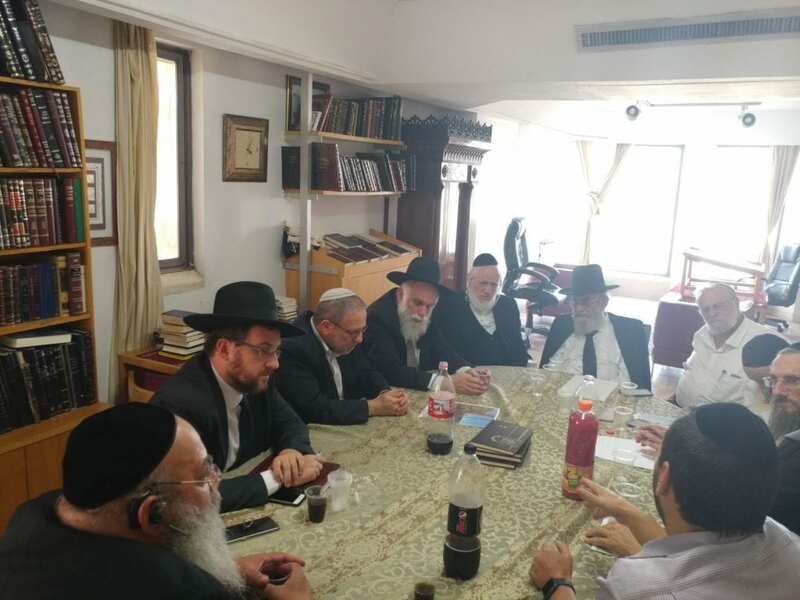 The members of the team of Kohanim will be “religious, God-fearing people, knowledgeable about Jewish law.” He noted that learning the laws pertaining to ascending the Temple Mount is not simple. As one of the few ZAKA volunteers sufficiently familiar with Temple Mount laws, Joshua Wander was the first to go up after the July 14 attack. He pointed out the need to ZAKA for a Temple Mount team of volunteers able to cope with the halachot (Jewish laws) on the Temple Mount. “The positive side of this whole thing that’s gone on in the past two weeks is that it’s really created an interest globally to relearn these laws, which have been almost lost, and thank God, we are bringing back these laws,” he told Breaking Israel News. Before ascending, ZAKA volunteers will be required to immerse in a ritual bath. They will ascend wearing a minimum number of clothes, not wearing shoes, bringing in the smallest possible amount of equipment, and entering and leaving by the shortest possible route. The guidelines Rabbi Nebenzahl used for his ruling were based on the writings of Rabbi Moses ben Nahman, a medieval Spanish Torah authority known by the acronym Ramban. The Ramban discussed the deaths of Aaron the Cohen’s sons, Nadav and Avihu, inside the Tabernacle. Now Aharon’s sons Nadav and Avihu each took his fire pan, put fire in it, and laid incense on it; and they offered before Hashem alien fire, which He had not enjoined upon them. And fire came forth from Hashem and consumed them; thus they died at the instance of Hashem (Leviticus 10:1-2). The Ramban explains that these bodies needed to be removed speedily by a priest, as described in a following verse of the Bible. Moshe called Mishael and Elzaphan, sons of Uzziel the uncle of Aharon, and said to them, “Come forward and carry your kinsmen away from the front of the sanctuary to a place outside the camp” (Leviticus 10:4). This is not the first time an organization has acted to prepare Kohanim for the Messianic era. The Temple Institute, a non-profit government and privately funded center of “research and preparation for the Holy Temple” – located in Jerusalem’s Old City – established a “Kohanim Training Academy” last spring, in which Kohanic students are taught and practically prepared to serve in the Temple. Reflecting on how a tragedy led to a miraculous renewal of Torah laws pertaining to the Temple, Hayman compared it to a parable in the Talmud which illustrated that the greatest light of redemption comes from the deepest darkness. The Talmudic story tells of a group of revered rabbis, including Rabbi Akiva, a first-century rabbi and a major contributor to the oral tradition, who visited the site of the Temple, then a pile of rubble. A fox ran out of the ruins, and one rabbi began to cry, but Rabbi Akiva laughed. Rabbi Akiva asked him why he cried and the rabbi cited the Biblical verse describing the holiness of the site. The rabbi lamented that now, even wild animals could roam through the site. Rabbi Akiva explained that the Prophet Micah described the tragic scene they were seeing in front of their eyes. Rabbi Akiva explained that just as this prophecy of destruction had already come to pass, it was inevitable that the prophecy of Zechariah on the same subject would also come to pass. According to Hayman, the prophecy can be interpreted to mean that if the Jewish people do not take control of the Temple for holy purposes, another nation will take the opportunity to profane it. Maayan Hoffman and Abra Forman contributed to this article.